Announcing the Ionic PWA Toolkit Beta — "The recommended way to easily build fast and production-ready PWAs with Ionic."" Small Tweaks To Make a Huge Impact on Your Site's Accessibility — Looking to address your website’s accessibility? Here, Andy Bell shares some tips on “small things that can make a big difference, while hopefully not affecting your development process too much”. 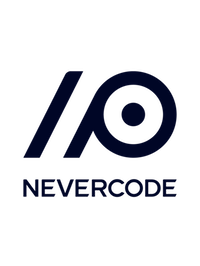 Seamless Continuous Integration and Delivery for Mobile Pros — With Nevercode you can build, test and deploy iOS, Android, React Native, Ionic and Cordova apps. Set up your projects in minutes, let Nevercode take care of server maintenance and spend your time on more enjoyable things. Like writing quality code. Your Guide to Getting Feedback Fast and Building Better Apps — Get feedback from your apps fast by including feature flags, metrics and more. The State of UX for 2018 — A look at UX design and development trends, most of which are related to mobile app design. How to Debug Progressive Web Apps using Browser Developer Tools — This tutorial explains what tools the Chrome and Firefox Dev Tools display that help you debug a Progressive Web App. Typography for Glanceable Reading: Bigger Is Better — 40% of the phone sessions last less than 15 seconds, so large glanceable typography can be important. Hosting an Ionic PWA with Firebase Hosting — Part three in a series on building a Progressive Web App with Ionic, focused on hosting the app with Firebase. Here are part one and part two. Uploading Files from an Ionic App to Firebase Cloud Storage — Learn how to add File Upload to Firebase Cloud Storage capabilities to your Ionic apps with this short video. Kotlin 1.2.20 Is Out — A new bugfix and tooling update for Kotlin 1.2. Announcing Realm Cloud: Realm Platform as a Service Beta — A new ‘as-a-service’ version of the Realm Platform — described as “the easiest way to add offline first and realtime data sync features” to your mobile apps. Getting Started with Augmented Reality in NativeScript — How you can build your first AR iOS app using NativeScript. Reverse-Engineering the iPhone X Home Indicator Color — What color is the home indicator? The answer is surprisingly complex.